Environmentally-friendly fabrics take the season’s trends to the next level. 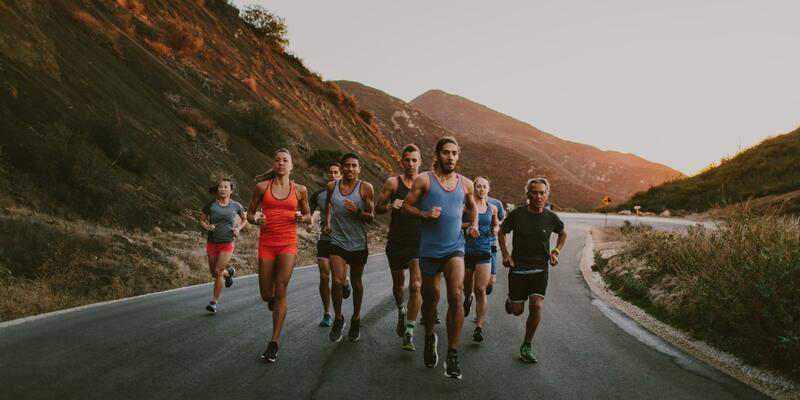 A new running season means a fresh take on gear. This fall it’s all about recycled fabrics and elevated twists on design elements like polka dots, color blocking, and the logomania trend. 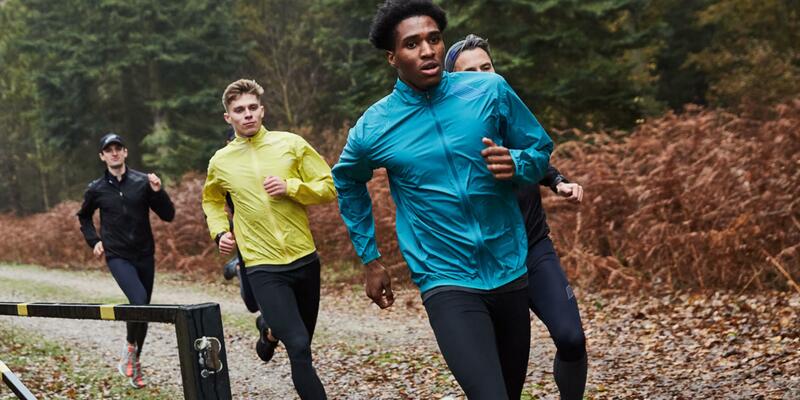 Whether you’re logging extra miles in preparation for race day or simply enjoying the cooler weather, here are eight pieces to add to your rotation now. Australian brand P.E. NATION taps the resurgence of ‘80s sportswear with these compression leggings from their new men's line, available at The Shop at Equinox. You can throw shorts on top of them for extra coverage. The perfect layering piece, this Italian-made top embraces the season’s polka dot trend. Its microfiber panels keep you comfortable on the road. This singlet uses custom recycled knit fabric from wood pulp along with polyester to wick away sweat and dry quickly. Wear the tank on its own for warmer fall days or over a long sleeve when the cold kicks in. Your hydration and recovery routine in one, this handcrafted insulated water bottle doubles as a foam roller, mimicking trigger point release techniques used by physical therapists. With a fashion-forward color block pattern and sweat-wicking fabric made with recycled yarn, this pair is designed to help with muscle compression and support. This hat is great for when it's not quite cold enough for a knit. It will still provide an added layer of protection, but with a hit of style. These sneakers are waterproof with a traction pattern that helps runners better grip surfaces. They come in a stylish all-black colorway but reflective details make them stand out during early morning or evening workouts. This jacket is the solution to those in-between temperature days. It’s lightweight and can fold into its own pocket for easy packing, yet durable enough to withstand the elements if needed.